March 28, 2019 - Products - PI (Physik Instrumente) L.P. The new L-505 miniature linear stage series provides high precision motion in a very compact package at an affordable price. A large variety of drive and configuration options is offered, from open loop stepper motors with lead screws to fast, servo motor driven units with linear encoders and low-friction ball-screws. L-505 XYZ combination with additional P-616 XYZ piezo scanner for fast alignment applications. Two basic designs are offered: A 60mm wide, shorter, lower profile (21mm) version with a folded drive train (motor side-by-side with the platform) and a longer, narrow (36mm) inline version, 25mm profile. Both come in two travel ranges of 1/2” (13mm) and 1” (26mm). XY combinations can be assembled without adapter plates, for XYZ assemblies a Z-bracket is available (see image). 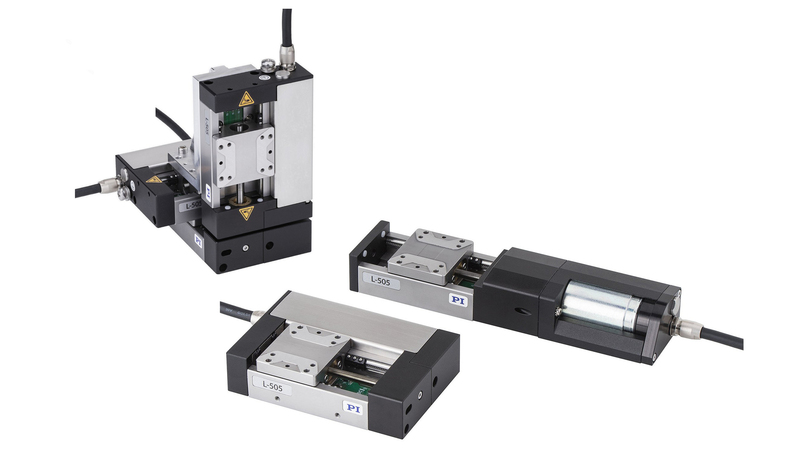 Four motor options are available for the miniature linear stages: Servo and stepper motors in direct drive or gearhead configurations. 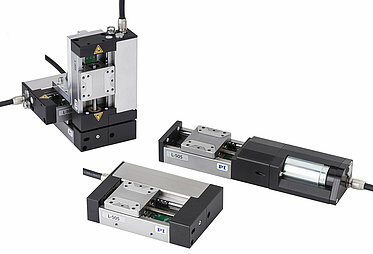 All but the open-loop stepper motor variants come with integrated linear encoders. 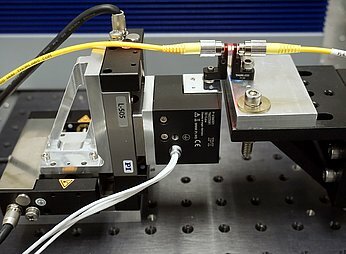 Linear encoders provide direct position measurement at the motion platform and provide better accuracy and repeatability compared to motor shaft-mounted rotary encoders. The encoder resolution is 5 nanometers for stepper motor versions and 50nm for DC motor versions. The direct drive versions of these compact translation stages can achieve velocities up to 15mm/sec, the gear-motor versions up to 1mm/sec. 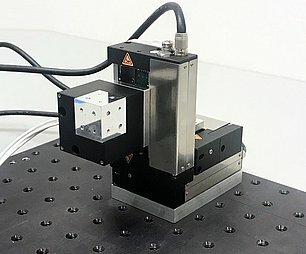 For the most demanding applications, such as the fast and precise alignment of photonics components an XYZ piezo scanner option can be added to the linear stages.